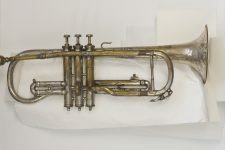 Morris Karnofsky, the son of the family and Armstrong’s boyhood friend, went on to open Morris Music, the first jazz record shop in the city, and a place that Armstrong visited on his many returns after he moved away in 1921. 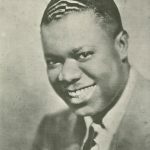 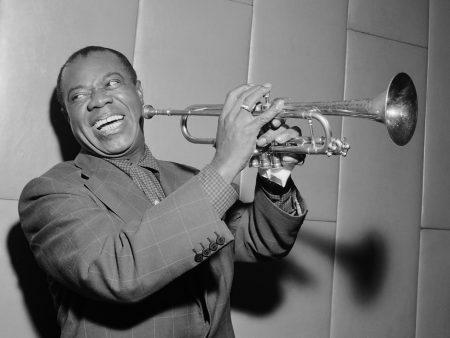 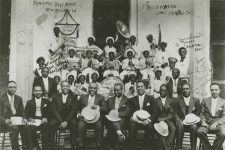 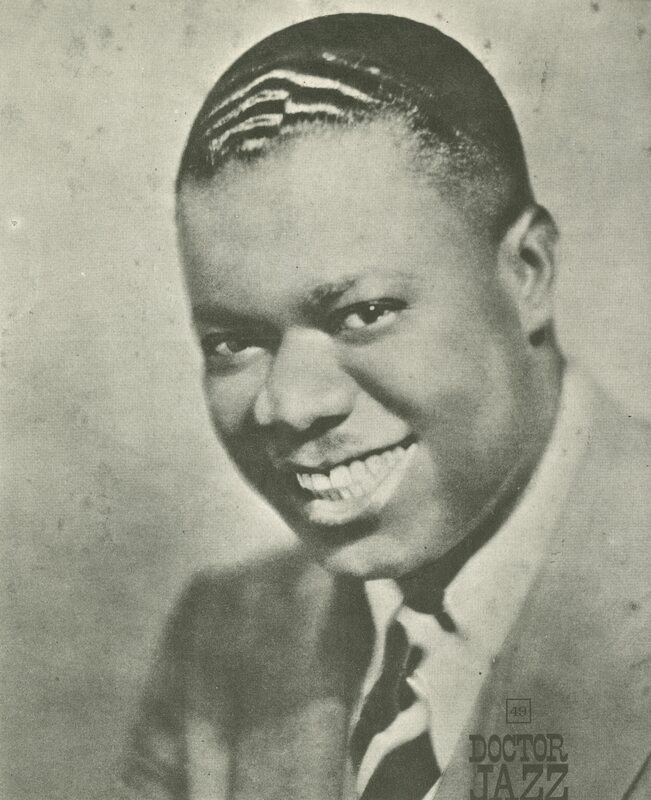 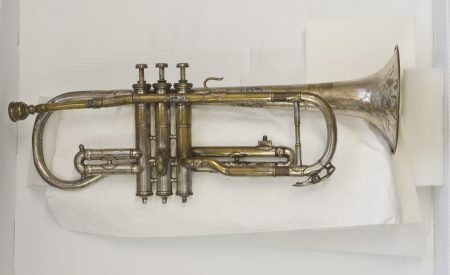 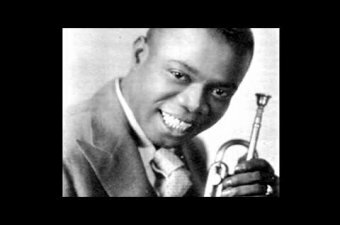 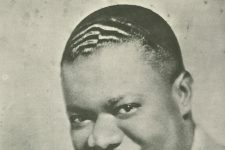 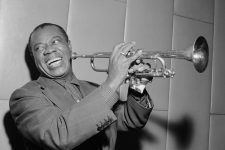 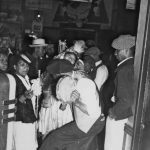 2011 clip from author John McCusker: "Louis Armstrong's New Orleans," a five-minute look at Satchmo's formative years and the state of landmarks associated with him. 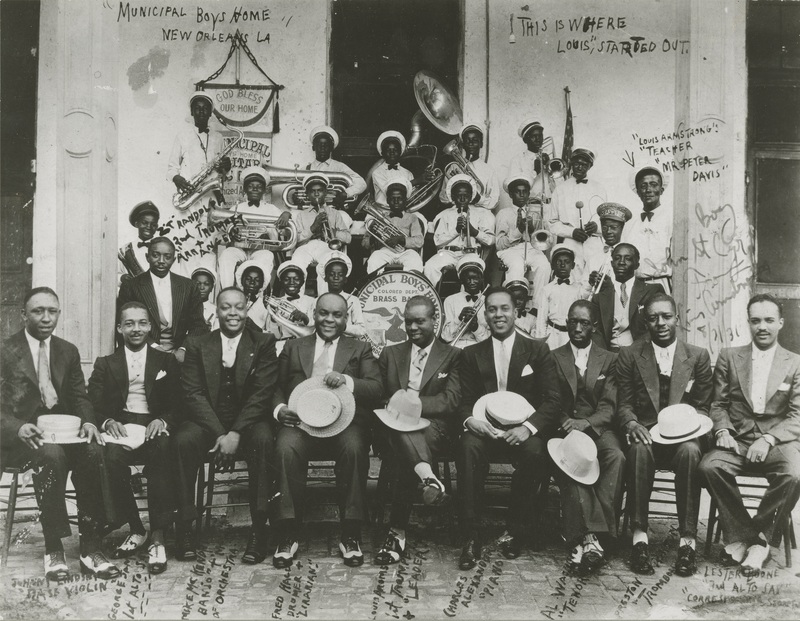 Video by the New Orleans Jazz History Tour company The Cradle of Jazz. 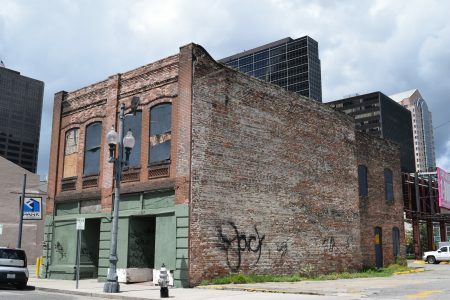 The Karnofsky building in 2017. 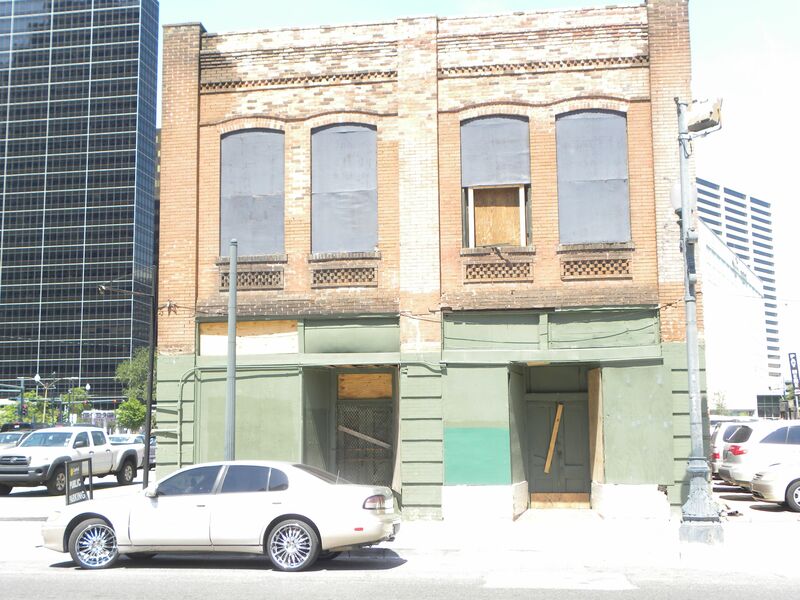 The 400 block of South Rampart Street in 2016. 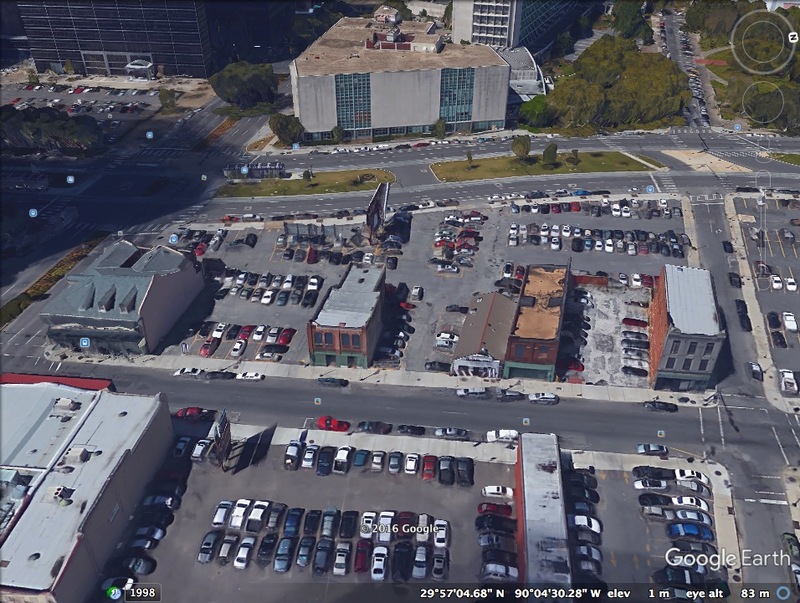 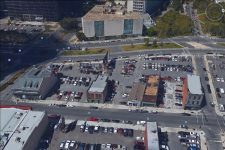 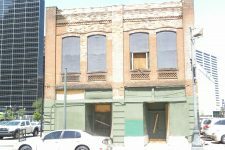 Across the center, from left to right: Little Gem Saloon, the Karnofsky building, the Iroquois Theater (green facade, adjoined to a smaller structure), and the Eagle Saloon. 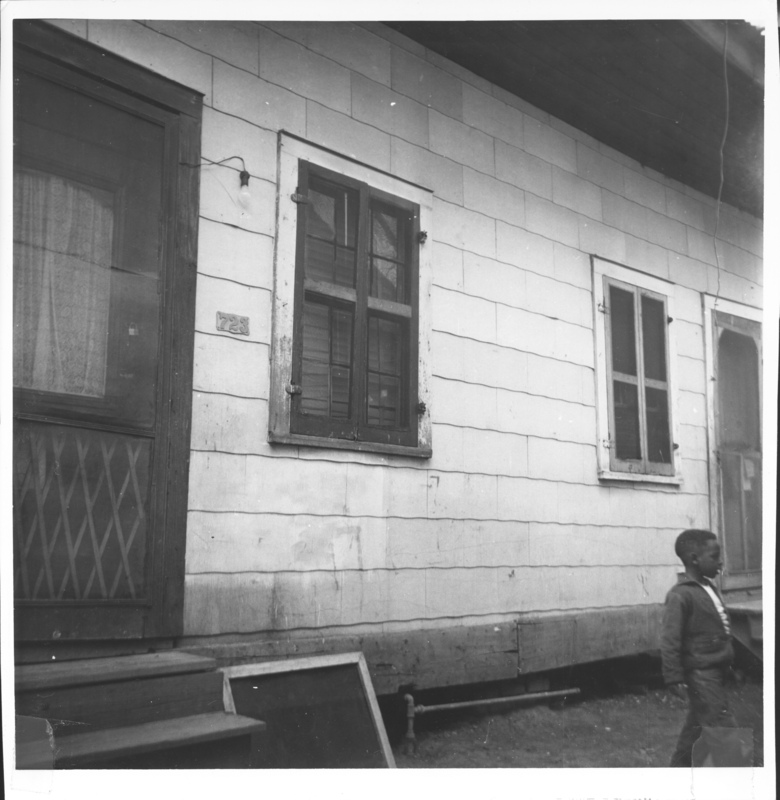 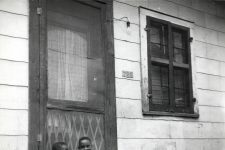 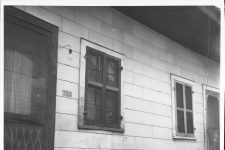 Louis Armstrong's boyhood home on Jane Alley. Courtesy of Louisiana State Jazz Museum. 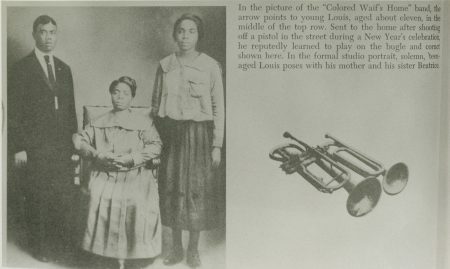 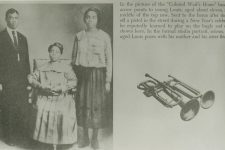 Left to right: a young Louis Armstrong, his mother Mary (called Mayann), and his sister Beatrice. Courtesy of Mark Sindler, Louisiana State Museum. An iconic early portrait of Armstrong, which shows the impression the cornet made on his upper lip. 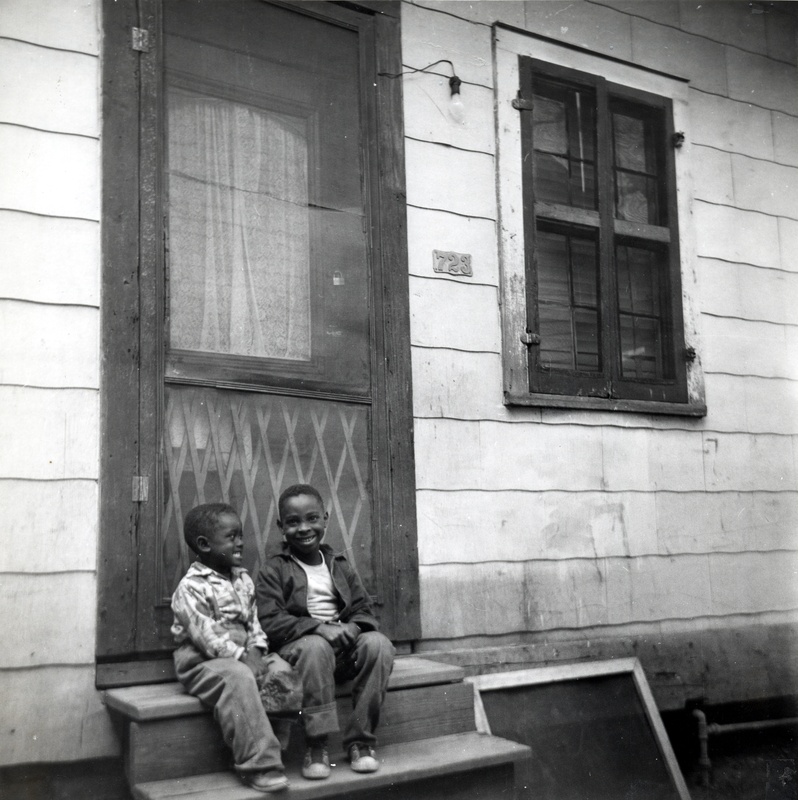 In 1931, when he was an international star, Armstrong visited the boys' home where he'd been sentenced to stay as a child.